The best dynamic DNS update client on App Store. Also available on macOS X, with iCloud synchronization and Apple Watch. RealDNS Mobile updates 18 dynamic DNS providers: Dyn, NoIP, FreeDNS, ChangeIP, DuckDNS, XpertDNS, Strato, DynDNS.it, DtDNS, EasyDNS, DNS Made Easy, CloudFlare, Google Domains, Namecheap, Hurricane Electric, Loopia, OpenDNS, GoDaddy. 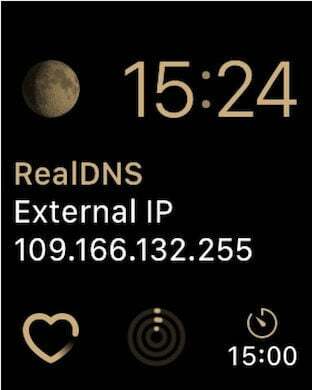 RealDNS Mobile is an application that updates your hostnames with the latest IP address of your computer assuring that you will always have an updated hostname allowing you to connect to your device from everywhere. Works with IPv4 and IPv6. Multiple accounts, multiple hostnames, multiple IP sources - Use the IP address of any available interface in your system and assign it to any hostname from any account. Every hostname can have his own IP source. - Now, the user can set if the update will be done via 3G/4G connection or/and WiFi connection, this option can be set for any hostname, independently. iCloud synchronization - sync your accounts and hostnames between Mac OS X and iOS (available with iOS 8 and newer). Logs - all your actions and the dynamic DNS provider responses will be displayed in​ the log view. IP History - a log is kept with all your successful IP updates made by the application. Automatic update in the background - the application can update your hostnames in the background, in respect with the OS restriction. Location changes can be used to trigger hostname updates in the background*. Manual update - a manual update can be performed at any moment. Help - complete help for all the application functions. The application respects the following principles: "easy for everybody, complete for professionals". - 16 dynamic DNS providers supported. - iCloud synchronization with RealDNS Mobile for iOS.